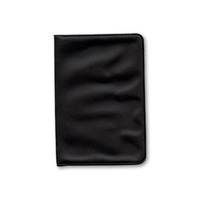 Today, when you order "Card Wallet", you'll instantly be emailed a Penguin Magic gift certificate. You can spend it on anything you like at Penguin, just like cash. Just complete your order as normal, and within seconds you'll get an email with your gift certificate. It's small, cheap and supple. Perfect for carrying around your card tricks! This wallet definitely feels like it cost more than 87 cents, it really does. It is nice and I have never had a gimmicked ruined while keeping it in this wallet. These are worth 5 times the price, and I am amazed that penguin makes money off these things! Oh, and it is worth mentioning that inside each wallet (or the one I got, anyway) comes gimmicked cards. Now, these aren't specific for any routine (I don't think) but they are a lot of fun to play around with and you could easily make a routine with these with a few simple sleights. Overall, I highly reccomend picking a few of these up! I LOVE these little wallets. IF you are just beginning packet tricks or you have a bunch that are just rubber banded together, pick up a couple of these little wallets. They are obviously plastic, but a nice soft plastic that is durable. I've kept the same wallet with a few different tricks in it for years. It doesn't wear that easily, and packs very flat. You have probably realized by now that there are a few special surprises inside. You get 1 of 2 different packet tricks included with every wallet. Either a monte effect, or a bwave sort of effect. They don't include instructions, but the resources are so expandable for these that every penny is worth it! Years ago,this wallet was nice, soft and small. Now, the recent batch is bigger, and they don't come with the bonus cards anymore. I miss what it used to be. This wallet still functions to protect your packet of cards, but I prefer the more compact version which penguin used to carry. For less than a dollar you get a great sturdy card wallet that also includes some great gaffs inside! These are not low quality and are unbeatable for the price! Getting these card wallets is a no-brainer. This inexpensive little wallet gets the job done. I use one to carry some duplicate cards for torn and restored effects, signed force cards, etc. The other holds a few gimmicked cards. I'm sure they'll crack and tear eventually but for the money they'll do just fine for what I need. I wasn't expecting much for 75 cents - figured I'd use a couple until something better came along. VERY PLEASANTLY SURPRISED! These are really cool. Two pouches, they fold flat, they have a nice "feel" to them. Way better than the price would suggest. 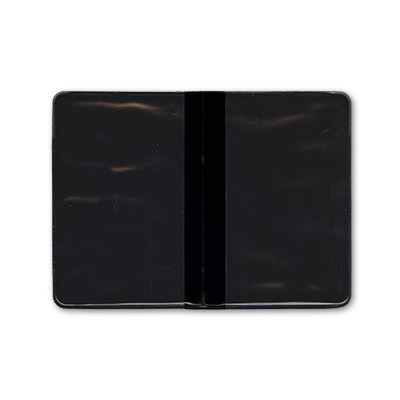 These are simple, inexpensive, plastic card holders. I put my gimmicked cards on one side and the name/ instructions on the other. A quick, easy way to keep things organized in my kit. I usually get a few with each shipped order.